Despite what The Three Musketeers did for trios, the relationships between a group of three friends can be tricky to navigate, particularly if you’re a kid. 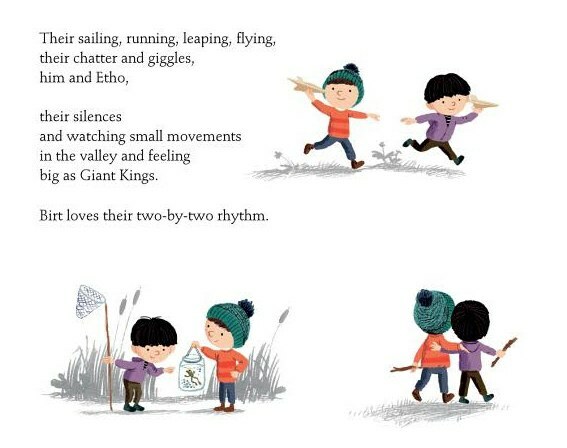 On Sudden Hill, written by Linda Sarah and illustrated by Benji Davies, tells the story of two friends, Birt and Etho. They’re industrious little kids, who make wonderful, imaginative creations from cardboard boxes that they drag to the top of Sudden Hill each day. 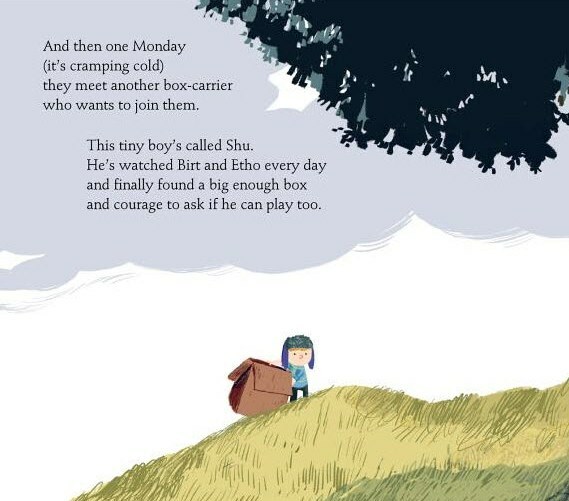 One day, a new boy named Shu drags a cardboard box to the top of Sudden Hill and asks if he can join in the games. Etho is happy to welcome him however Birt ‘feels strange’ about the new arrangement. Eaten up with jealousy, Birt goes home and refuses to come out to play. However, is the allure of “…an incredible monster creature box thing” too much to resist? 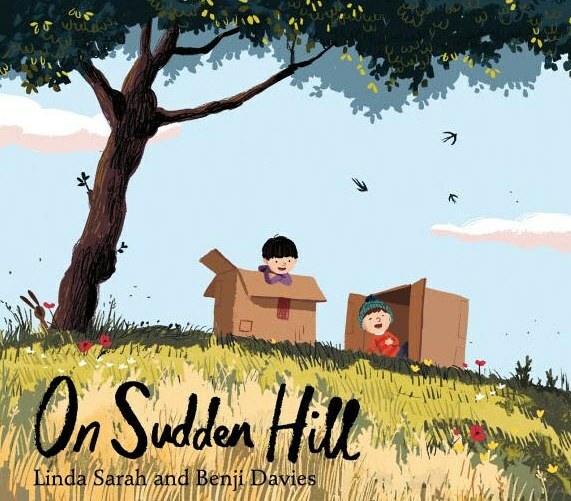 On Sudden Hill explores themes of friendship and sharing in a way that is relevant to its intended pre-school audience. Sarah’s text is wonderfully realistic. Jealousy isn’t an attractive trait but few kids escape feeling jealous over friendships (or things) at some stage during their childhood. 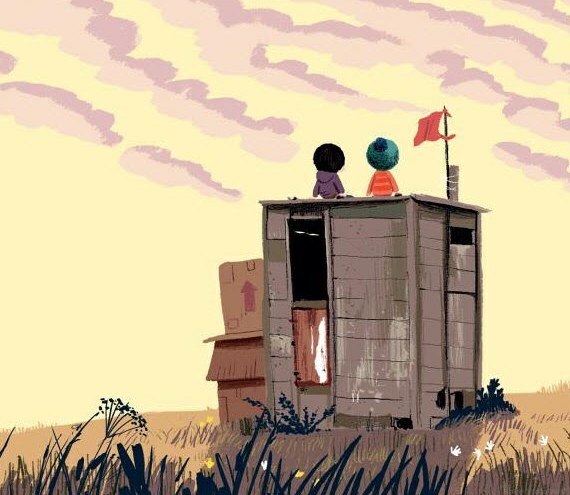 Birt’s sulking is perfectly portrayed – there’s enough in the text and illustrations that kids will identify with how Birt feels but it stops short of making him a brat or seem unkind. Importantly, Birt getting over his jealousy and joining the others for cardboard box fun is believable. Although not intended as the main theme, the story also highlights the importance of creativity – you don’t have to tell kids about the potential of a cardboard box! Davies warm illustrations capture the energy of the friends and their games, and although the characters are simply drawn, their little faces are wonderfully expressive, leaving the reader in no doubt as to who is feeling happy, apprehensive, lonely, inspired, sad or excited. Find On Sudden Hill online at Book Depository, which delivers free to Australia.